Thank you for your interest in joining/renewing your membership with the CAGC. 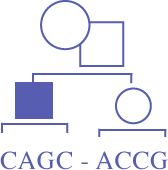 A reminder that the CAGC membership year runs from July 1st to June 30th of each year. Membership dues are not prorated. Did you miss the membership renewal deadline? You can still renew! Simply send an email to cagcoffice@cagc-accg.ca and we'll make it happen. Please note that an attestation form is no longer required for any application for membership. However, the membership committee reserves the right to request clarification or verify any of the information that is provided as part of the application process. Membership renewal occurs on July 1st of each year. Online membership will open the first business day after the July 1st holiday. Members will be able to renew at a discounted rate for 2 weeks after the official online renewal opens. Late fees will apply two weeks after online renewal has opened. All renewals must be submitted within 30 days of the early renewal closure or membership benefits will be suspended, as per By-Law 13. Changing category from Student to Full? Simply contact the CAGC office (cagcoffice@cagc-accg.ca) to indicate your intention and receive further direction. Please do not conduct an online renewal until your status can be changed. If you have any questions please contact the CAGC head office. If you prefer, print a copy of our membership application form and mail it to the CAGC Head Office along with a cheque. Please ensure cheques are dated for July 1st or later and made payable to the Canadian Association of Genetic Counsellors.